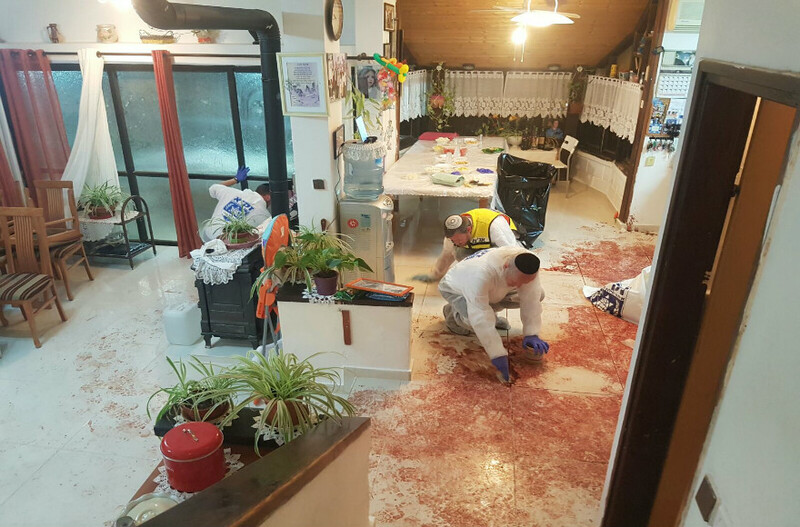 JERUSALEM (JTA) — A Palestinian man was found guilty of murdering three members of an Israeli family as they sat around their Shabbat table in the West Bank settlement of Halamish. Omar al-Abed on Wednesday morning was found guilty of stabbing to death the three members of the Salomon family in July. The military prosecution requested four life sentences for Abed – one for each of the dead and another for the two counts of attempted murder. Prior to the court hearing on Wednesday, Defense Minister Avigdor Liberman in a statement and on Twitter called for the death penalty, which is an option in military court but has not been sought, according to Haaretz. A sentencing hearing will be held at a later date. Yosef Salomon, 70, and his children Chaya, 46, and Elad, 36, were killed in the attack in the family home where they were gathered to celebrate the birth of a baby boy in the family. Tovah Salomon, 68, Yosef’s wife and mother to the two other victims, was stabbed and seriously injured. Michal Solomon, the wife of Elad, ran with the couple’s five children to the safety of an upstairs room that she locked before calling security services. Israeli Prime Minister Benjamin Netanyahu also reportedly called for the death penalty for Abed while with the family during the shiva period. Following the prosecution’s request for life sentences the family issued a statement decrying the request. “We understand we’re being toyed with. They’re talking and talking, but not really doing what needs to be done. They could have picked up the phone and demanded it. The prime minister and defense minister were at the shiva and explicitly told us that they would work on it, that [the death penalty] could be promoted,” the family said. Prior to the attack, Abed said in a Facebook post that he called his “last testament” that the situation at the Temple Mount inspired his planned attack. Days before the murders, two Israeli policemen were killed by three Israeli-Arab gunmen in an attack on the holy site in Jerusalem. Abed, who comes from a Palestinian village near the Halamish settlement, was stopped from continuing his attack when a soldier on weekend leave who lived next door shot him through the window of the house.